Drs. 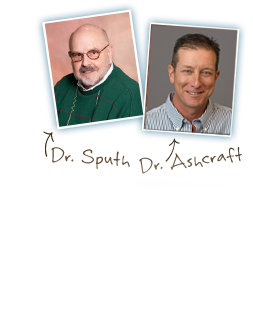 Fred Sputh and Darin Ashcraft are your trusted and experienced orthodontists serving the community of Lafayette, IN. Our orthodontist team care about your health and happiness, and we want you to have a wonderful orthodontic experience. What makes our Orthodontist Specialists unique? Please contact our Lafayette Indiana orthodontist office and schedule an exam and consultation with Drs. Sputh & Ashcraft today!